Sliders is factory direct. No fancy brand advertising to raise the price, just the best quality 3/4 mesh jacket you can ask for at a rock bottom price. Compare any apparel from Sliders to any other top brand and you will see the quality and love the savings. Important Sizing Note: These jackets have a SPORT fit and are designed to be more form fitting, for snug fitment. We recommend going up a size if you need more room in the belly. Sliders Scaldare Jackets are designed with those hot summer rides in mind. 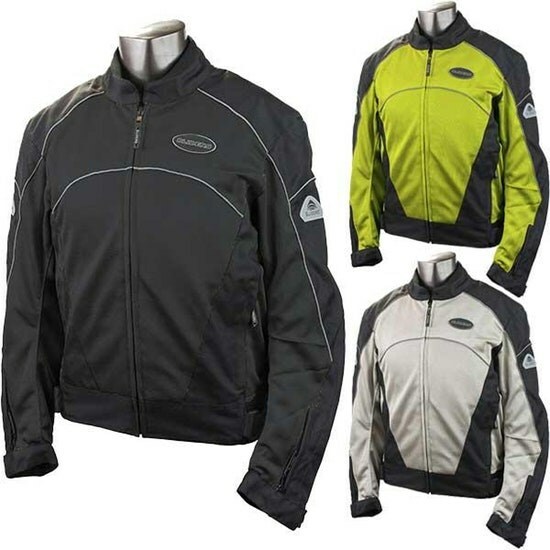 With full mesh construction these jackets offer unrestricted airflow for the hottest of rides. 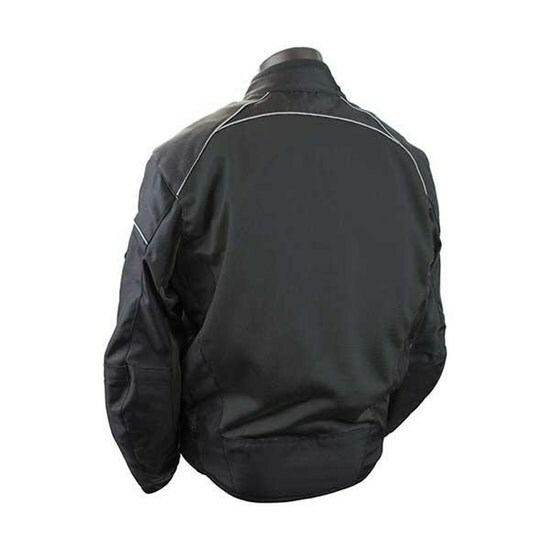 Scaldare jacket offer an adjustable fit with stretch material at the sides and waist adjustment belts. 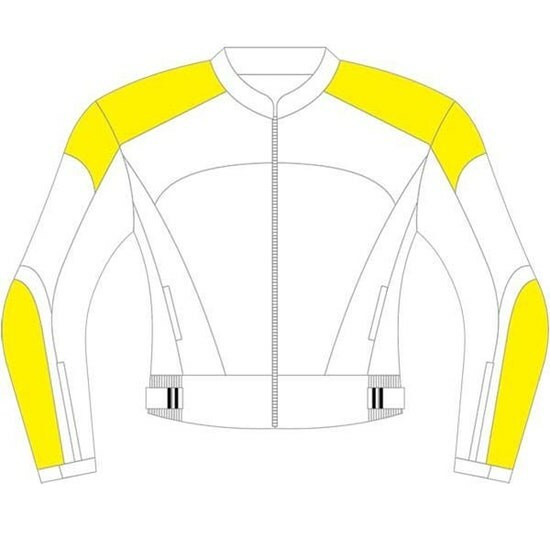 The Scaldare also has a microfiber lining in the sleeve cuffs and the collar for all day riding comfort. Generous amounts of reflective Phoslite piping on the front, back and sides keep you visible at night, while a removable wind/water proof liner will keep you warm and dry when the weather turns cold or wet. 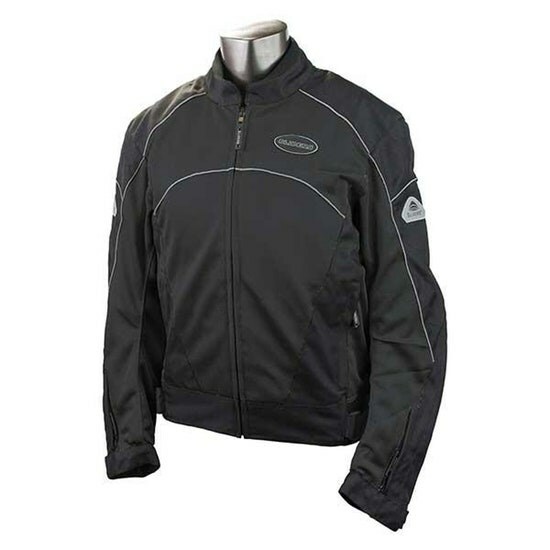 Sliders Scaldare Jackets boast 100% name brand DuPont Kevlar® over the critical impact areas with CE certified armor in the shoulders, elbows and back. 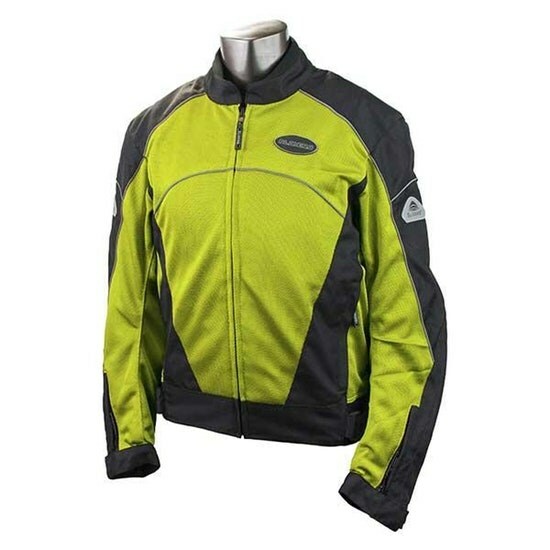 Scaldare jackets are available in Black, Silver and Hi-Viz Yellow in sizes ranging from Small to 3X Large. Zip together our Sliders Scaldare Jacket and Sliders Scaldare Mesh Pants and you will be cooler and safer than ever before. CE armor in shoulders and elbows - Foam back pad.